Description With this module you can setup a form with filling just a few minimal parameters and select a pre-defined form template. Info Please use QUICKFORM addon instead, it is delivered with LEPTON package from releases. 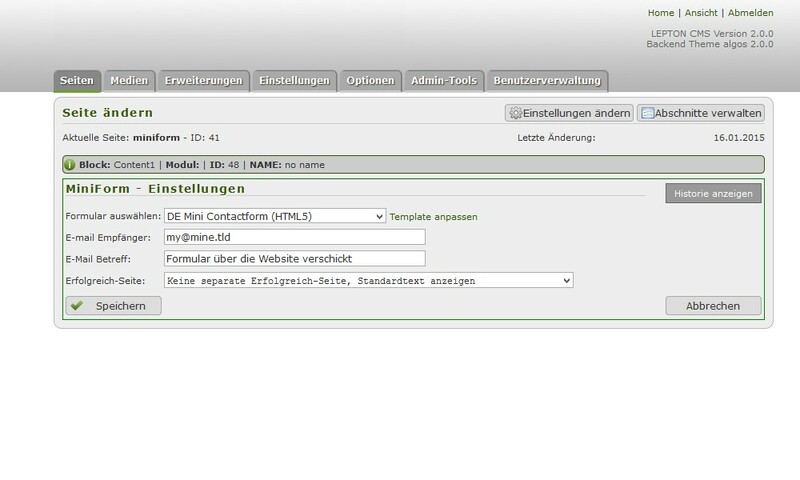 The main difference between minform and quickform is that quickform uses also twig template engine.